I like crows. They're clever birds. And here is one made in Fabergé's workshop, by workmaster Henrik Wigström, around the year 1907! 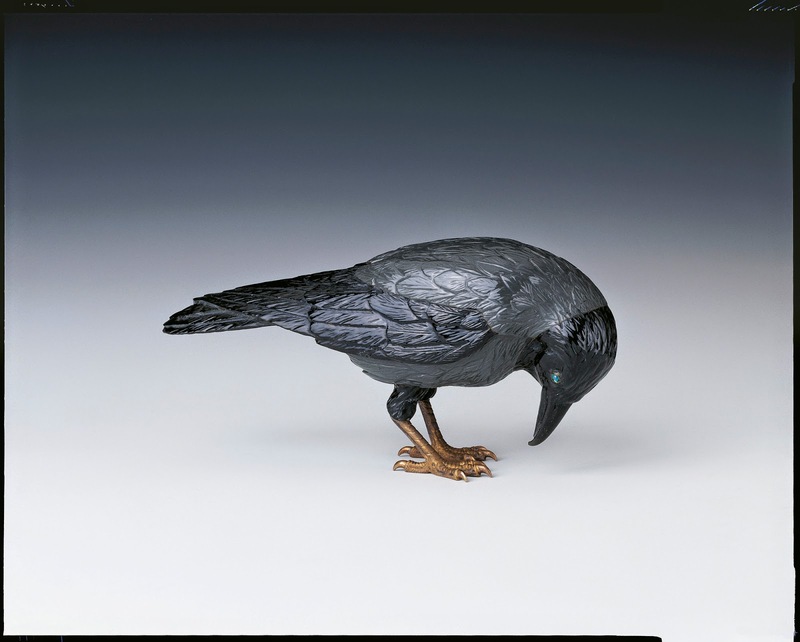 The crow is made of carved kalgan jasper and obsidian, with silver gilt legs and aquamarine eyes, to create the most realistic effect as possible. 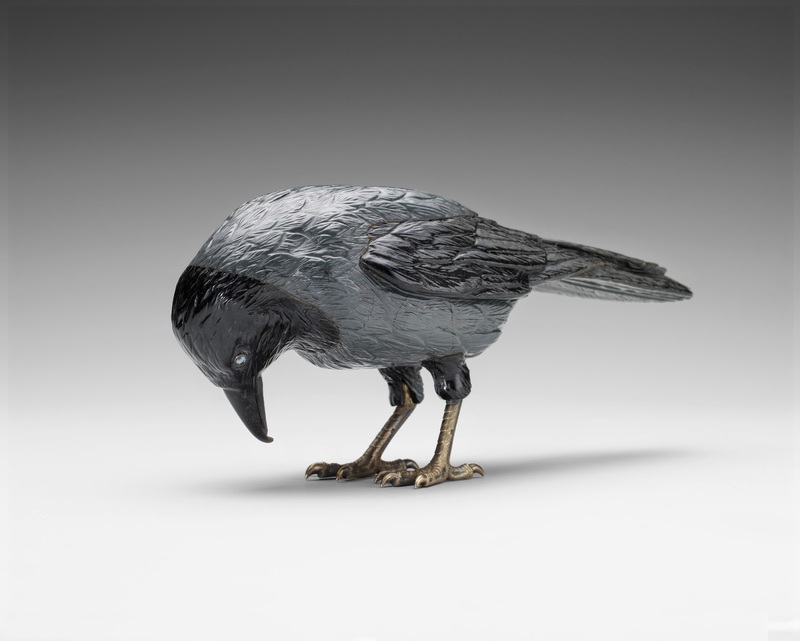 With it's measurements of 3.1'' x 6.2'' x 2.2'' (7.8 x 15.7 x 5.7 cm) the bird is a bit bigger than most other Fabergé miniature animals. It was bought by Queen Alexandra in 1914, and now has it's place in the Royal Collection. a work of art for sure! love how realistic it looks. I adore crows (and ravens). A few days ago I had the chance to photograph a baby crow and it was the most adorable thing ever!